Campaigners for blacklisted building workers have called for the new public inquiry into undercover police spying to be widened to include police collusion with blacklisting. Two weeks ago the home secretary, Theresa May, ordered the public inquiry after two reports found that the Metropolitan Police had spied on the family of Stephen Lawrence, victim of a racist murder. The reports – one by the Metropolitan Police and the other commissioned by May – examined the role of a police unit, the Special Demonstration Squad (SDS), in using undercover spies in the Lawrence case and in infiltrating groups of political activists, with spies in some cases conducting sexual relationships with members of the groups. May said the findings were “deeply troubling” but the Blacklist Support Group (BSG) condemned the police report, stemming from the Operation Herne inquiry, as a whitewash because it described police discussions with blacklisting organisations as driven by “civic duty”. For over four decades, 44 companies paid the Consulting Association (CA) to vet 3,213 potential new recruits in the construction industry. Many of those listed were active trade unionists involved in raising safety concerns in an industry with the highest death rate in the UK. They were often “not recommended for employment” but for years remained unaware they had been victimised and left unable to earn a living. The CA was closed down by the Information Commissioner’s Office in 2009. The Independent Police Complaints Commission has also said it is “likely that all Special Branches were involved in providing information” that resulted in many individuals being refused work by some of Britain’s biggest construction companies. 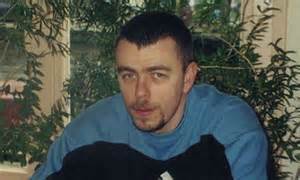 Mark Jenner was an SDS member who posed a building worker named Mark Cassidy between 1995 and 2000. Jenner was unmasked when his partner Alison*, gave evidence to the Home Affairs Select Committee inquiry last year into undercover policing. Jenner met Alison when he became actively involved with the Colin Roach Centre in Hackney. This was an unfunded political centre known for its work in uncovering corruption amongst the local police. Centre members also participated in industrial disputes. This gave Jenner ample opportunity to collect information on construction workers involved in disputes. As an activist myself at the centre in that period, I first revealed some of Jenner’s activities in The Big Issue in the North in 2011 and later in 2013. More can now be brought to light. In October 1995, plumber Terry Mason and bricklayer John Jones were sacked after they refused to be transferred from Southwark Direct Labour Organisation (DLO) to private contractor Botes. Jones feared that as a workplace representative he would be victimised by a company that had refused to recognise trade unions, and Mason supported his colleague. A picket was mounted at the DLO to persuade workers not to go into work and Jenner, like myself, was a regular on it for nearly four weeks. At one point he was brave enough to stand up to a strikebreaker on a motorbike waving a metal chain as he forced his way into work. Mason and Jones did not, however, win back their jobs, although both later won compensation for unfair dismissal. Jones was a member of the Building Worker Group (BWG), a rank and file body of activists within the UCATT building trade union independent of full-time officials. Jenner joined the BWG. In 1996, amidst a rising tally of workplace deaths, the BWG agreed to picket construction sites where workers had been killed. Members felt that only by stopping production and hitting employers in the pocket would companies ensure better safety on sites. But this was in defiance to anti-trade union laws and was opposed by building unions fearful they would face legal action by employers. Jenner, an outgoing character who had few problems in engaging with people, was present on at least one picket, close to the Old Bailey, where he had plenty of opportunities – if he wished – to gather information on anyone involved. He participated on a number of early morning visits to sites to sell the BWG newspaper and also attended a number of UCATT branch meetings, although he appears not to have joined the union. Jenner had identified himself as a building worker when he joined the Colin Roach Centre in 1995. He maintained this fiction by convincing Alison that when he left their home early each morning he was using his van to go to work. Some time after his sudden disappearance in April 2000, Alison rang the company he claimed to work for. She discovered he did not have the employment status with them that he had led her to believe and they had no contact number for him. In 1997, a campaign with links to the Colin Roach Centre was formed to defend BWG secretary Brian Higgins after he became the first trade unionist ever to be served with a writ for libel by an official from the same union, UCATT. Dominic Hehir’s ill-fated attempt to silence Higgins failed but had the effect of taking activists away from the picket line. The Brian Higgins Defence Campaign drew support from many parts of the trade union movement. As campaign secretary Mark Jenner had opportunities to collect information on trade unionists corresponding with the campaign. According to Brian Higgins, the CA file on him has a page of known associates from the 1970s and early 80s as well as a large number of articles on his case from the magazine that the Colin Roach Centre printed in the 1990s. In July 1999 Jenner was prominent in supporting a successful picket in support of construction workers employed by Dahl Jensen and whose pay cheques had bounced for three weeks but, despite all his union activism, his name does not appear on any of the blacklisting files seen by the BSG. A CA member has told the Scottish Affairs Select Committee, which examined blacklisting, that his organisation had no link to the police. A Special Branch officer also told Operation Herne that “the information was purely one way” – from the CA to the police – and that it was driven by a sense of “civic duty”. None of which gives a clue as to why a serving police officer would pose as a building worker. Or why he joined other building workers – who were not committing any crimes – who were struggling to improve their terms and conditions. The BSG remains concerned at what role undercover police officers may have played in helping deny a number of building workers the chance to work and support their families.